Tell your story. It’s like honey on the tip of a straw. Stir into life the sweetness of truth. Tell your story. It’s the only way to freedom. On Saturday a man said to me through tears that if the only thing you do is tell your story, then your life will have left this world a better place. The tears told part of his story, how his daughter survived suicide and so much more. Now she is headed to seminary in the fall. There is no one story about mental illness. We embody a multitude of stories within us in a single day. So we won’t fool ourselves into thinking that just one story is enough or one voice is enough to break the silence, because it’s not enough. This movement to end the stigma and shame around mental illness needs more voices. We need to hear from brothers and sisters of color, we need to hear from members of the gay, lesbian, trans* and bisexual and questioning communities. We need to hear more from youth and veterans. We need to hear the stories of people who live with chronic mental disabilities and we need to hear from people who are silenced and sidelined. Tell your story. The world needs to know what it is like to be you so that we can better understand and be more compassionate. I want to hear your story and the woman walking her dog wants to hear your story and the kid on the bus wants to hear the story, too. It’s stories that ultimately give us hope because in our stories we can shape our lives into meaning. The individual self connects to others through sharing stories. The shame and stigma causes people with mental illness to feel isolated and alone. Speaking out, breaking the silence, and sharing our stories about mental illness is like honey on the tip of a straw. It’s taken me a long time to write this response because of the great emotional content of it. I was angry when I read the title of this post. I know it needs to happen but it felt like one more compassionate friend encouraging me to once again tell my story to, who knows what, if any, response. When does it end? I have told my story a million times to no benefit. I have talked about my bipolor, about walking away from seminar a trimester before graduating because of a bad depressive slide to polite disinterest so many times that it makes my heart hurt and my stomach cramp to even consider it. It makes me angry to even hear someone encourage me to do it, although I know it must be done and I do it and even have a website where I do it regularly. I don’t know whether to apologize for my angry response and tears or not. I don’t know whether to be glad for your encouragement or not. I guess I am glad you give it, at least intellectually, even if not right now, not emotionally. I am not even sure I know why I write in response, except to let you know how some of your readers (even if only one) read your request/encouragement. It is angering at worst and bittersweet at most average for me, living as I do with a severe case of med resistant bipolar depressive disorder. In my better times, I thank you profusely for what you do here, I have purchased your book and recommended it frequently. This post was just hard to read and I needed to let you know that, even a week later. When do I get to stop telling my story? Thank you for writing and sharing with me about your feelings and the roller coaster of emotions. 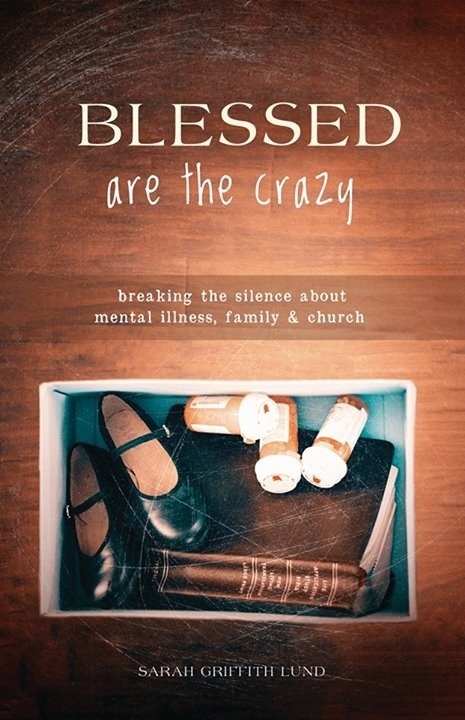 Since much of my story relates to my role as a family member, I’ve realized that the movement for mental health is strengthen by all of our voices. I don’t want to speak “for” anyone but myself. So part of what inspired this post was my own desire to be alongside of other stories. I hear what you are saying in terms of feeling angry. And I cry out with you, saying, “how long? !” How much longer do we wait for the stigma, shame and ignorance about mental illness to be replaced by compassion and understanding and support. Thank you for sharing with me about your response. Anger is powerful and can fuel positive movement. I’m glad your anger fueled your response to my post. I’m encouraged by your witness and appreciate your willingness to break the silence.